The sheath comes with a standard (click-lock) retention to allow you to easily pull out or lock your spear into its sheath. Tighter retention allows the knife to be seated extra firmly into the sheath. 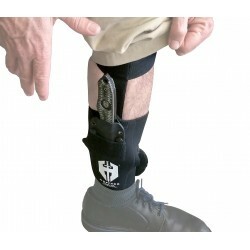 ***Because the Beast utilizes a click-lock retention sheath system, the Beast cannot be inserted into the standard sheath with the lanyard attached. When ordering the Beast with lanyard we will automatically include the Lanyard Sheath with your order. Optional Beast sheaths are available for order in both formats. Scroll up and type in your item specifications, and click the Save Your Choices button. Wait for the page to refresh. Then click the Add to Cart button. 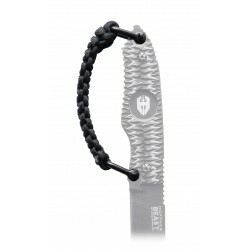 NOTE: A lanyard Beast or Hand Spear sheath will need to be purchased to hold your knife in the sheath with its lanyard. The knife with a lanyard will not fit into the standard sheath. 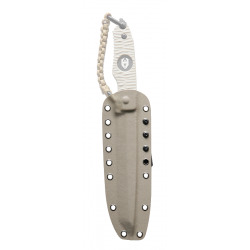 NOTE: A lanyard Beast sheath will need to be purchased to hold your knife in the sheath with its lanyard. The Beast with a lanyard will not fit into the standard sheath. The sheath comes with a standard (click-lock) retention to allow you to easily pull out or lock your spear into its sheath. Tighter retention allows the knife to be seated extra firmly into the sheath. With the huge success of the Hoffner Folding Knife, the next logical step was to engineer fixed blades using the same “Rear Grip” and “Pivot Index” operating systems. This way the operator uses the same expert reflex motor and muscle memory skills regardless of folder or fixed blade. They all go together. Hoffner Beast – This is one big, heavy, radical hunk of steel, with a 5/16” full tang spine! 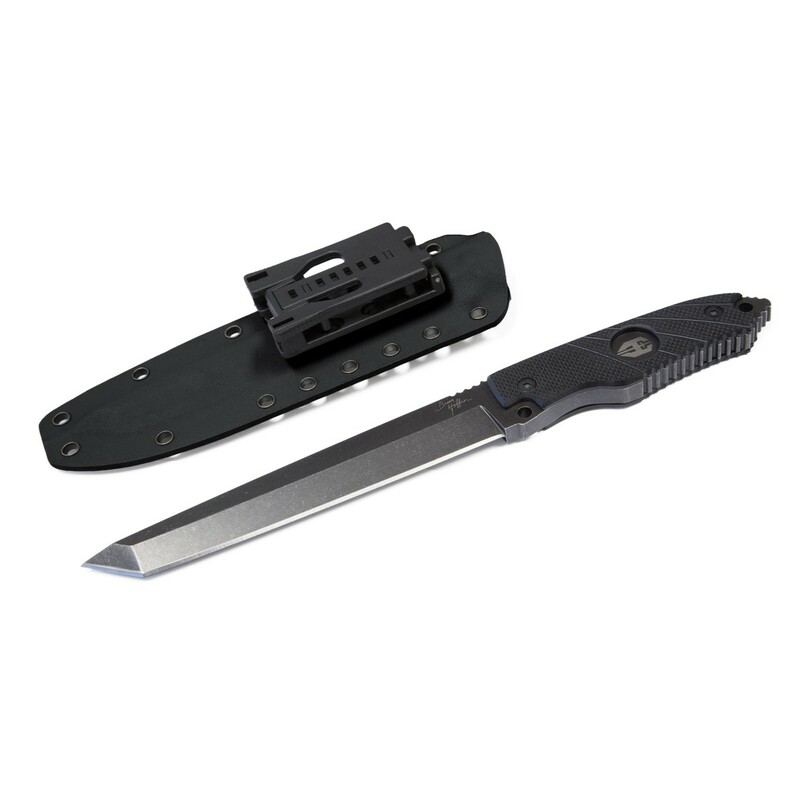 This knife is a specialty tool for first responders, rescuers, adventurists, and survivalists. It does it all, as a veteran cop and active shooter instructor I know what is needed, so I built it! The Beast is an indestructible knife that will cut, penetrate, pry, hammer, chop, trench, baton, break, rake, smash, slash, crash, & trash all in its path. All this, and its balanced enough to handle like a knife. The Beast is truly an outside the box knife and you are going to love it. Hoffners Fixed Blades come with a stonewash black or silver 440c stainless steel full tang blades with your choice of G10 handle and matching Kydex sheath in black, khaki, or olive green. *Please research and know the knife laws of your state. As a Cop and Anti-Terror Expert I know what is needed, so I built an indestructible carry tool that will cut, penetrate, pry, hammer, chop, trench, baton, break, rake, smash, slash, crash, and trash all in its path. This knife is truly "the Beast"! Ergonomic G10 "Grippy" handles with Index Divots. Multiple use, easy to carry, heavy duty tool. 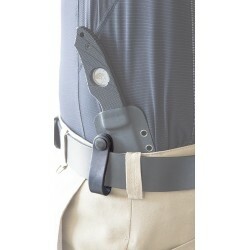 Includes Kydex Sheath with ambidextrous belt mount. Multiple mount options: molle, in the waistband, mounts to American Tactical Apparel secret carry holster.